Each AmericInn is built with solid masonry construction and the highest sound rating in the industry to allow you the experience of a quiet nights sleep. Buisness and leisure travelers are accomodated with a desk, in room coffeemaker, high speed internet access, free complimentary continental breakfast and the only frequent traveler program that pays you 40.00USD after every 10 nights of lodging. Other amenities include oversized pool area with vaulted wood beam ceiling, comfortable, home like lobby and specialty rooms. 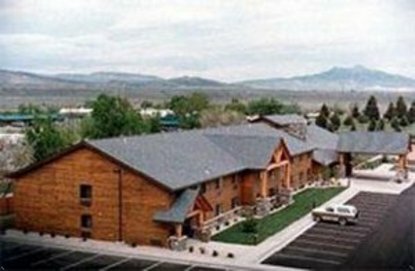 Come experience the old west in Cody, Wyoming. Pool, sauna, and whirlpool will be closed from December 16th to January 4, 2007.